So You're a Motorcycle Lover? Do You Know the Legal Rights as a Passenger? Many times if you're a motorcycle lover, you also enjoy sharing the thrill of riding with your spouse, family members, and friends. And you've probably been a passenger on a bike yourself. That's why it's important to know passenger rights if you're ever involved in a motorcycle accident. Accidents can be very scary and stressful, and motorcycle accidents are no exception. In fact, they can be some of the most frightening accidents for both the operator of the bike and any passengers. You may not be able to avoid getting into an accident, but you can be prepared in case you do. If you're the one controlling the bike, it's your responsibility to keep any passengers safe. First and foremost, always practice safe riding habits – wear a helmet, ride defensively, and wear the proper biker attire. Second, have the best biker insurance you can. This will help protect your own rights. Third, carry a "just in case" card, as well as a cell phone with camera or disposable camera at all times. The "just in case" card should have emergency information and contacts in case you or another rider is unresponsive. You should always seek medical attention for you or anyone else who is injured and call the police – but then be sure to take photos of the damages and the accident scene. The cell phone or disposable camera will help you to collect evidence. These tips are useful for both riders and passengers. Before riding with other people as a passenger, check to make sure they have Department of Transportation-approved helmets, insurance, the "just in case" card, and a camera. If they don't have the "just in case" card, suggest making one. If there isn't a camera stored on the bike somewhere, have one yourself. You never know when you may need it. Many people don't know the rights passengers have, both as riders in a car and on motorcycles. It's important to know that, even though they aren't the operator of the bike, they still have protection under the law. If you or someone you know were injured as a passenger, you may be worried about filing a motorcycle injury claim against friend or family member. But the truth is that protecting your own rights doesn't mean that he or she is going to suffer. Usually your own insurance covers you if you're injured as a passenger in an accident. What if I Don't Have Insurance and I'm Injured as a Passenger? If you're injured as a passenger and you don't have insurance, you may need to file a motorcycle injury claim to cover your medical expenses. Many people think they will have to sue their friend or family member personally and won't contact an attorney for that reason. However, it's important to know that you usually don't file against the operator of the motorcycle; you file it with the insurance company that provides insurance coverage to your friend or family member. You may be concerned that you'll cause his or her insurance premium to go up if you file a claim. But remember, the premium would likely increase anyway if he or she was responsible for the collision. Ultimately, you need to take the necessary steps to protect your rights. Medical bills add up quickly, and insurance company hassles can cause you a lot of unnecessary stress and frustration – especially when you're already injured and in pain. 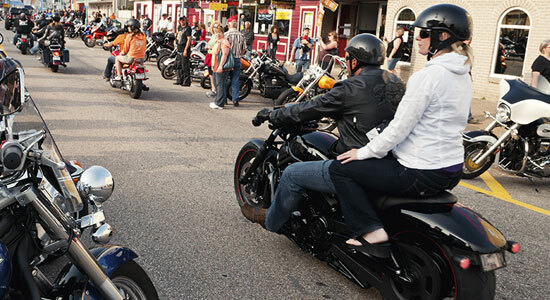 Whether you are the operator of a motorcycle and your spouse rides with you or you ride as a passenger with a friend, it's best to know your legal rights. Know your own insurance coverage and make sure it's adequate to cover you if you're injured as a passenger, as well as enough to cover a passenger if a claim is filed against your insurance company. If you're a passenger, take the necessary steps to protect your rights. Ultimately, it's best to be knowledgeable and prepared for anything. Hopefully you'll never have to deal with the complications of being involved in an accident, but you need to be aware of what can happen. If you or someone you care about were injured in a motorcycle accident as a passenger, you must act quickly. There are time limits to file a claim, and if you wait too long, evidence could disappear.